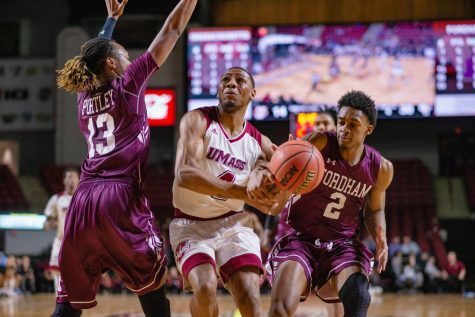 Collegian beat writers Patrick Strohecker and Mark Chiarelli weighed in on the UMass men’s basketball team’s chances to make the NCAA Tournament this season. Check out their predictions below. 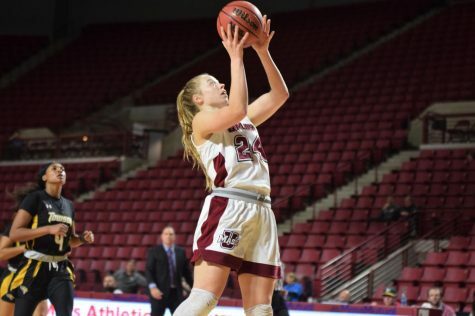 For live updates and UMass basketball news all season, be sure to follow them on Twitter @MDC_Strohecker and @Mark_Chiarelli. 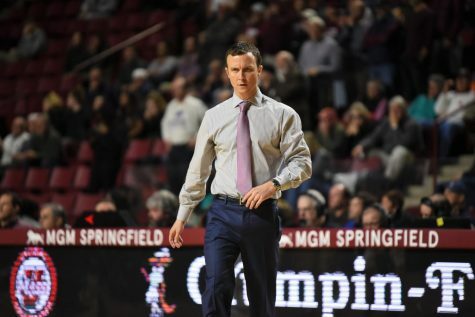 Strohecker: It’s finally time for the Massachusetts men’s basketball team to end its 15-year NCAA Tournament drought. 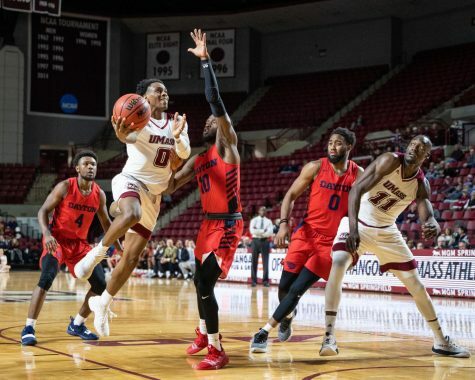 The collection of experienced players returning from last year’s team, accompanied by the addition of sophomore Derrick Gordon and a solid group of freshmen will make this year’s team a tough one to beat. The high-tempo offensive style and the in-your-face defense will wreak havoc on opposing teams. 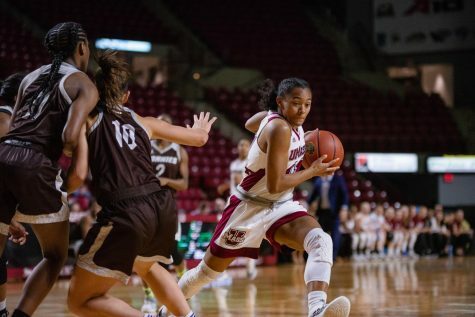 After being picked to finish in the middle of the Atlantic 10 the past two seasons, the Minutemen finally got the recognition they deserved this year, being picked to finish fourth in the preseason poll. 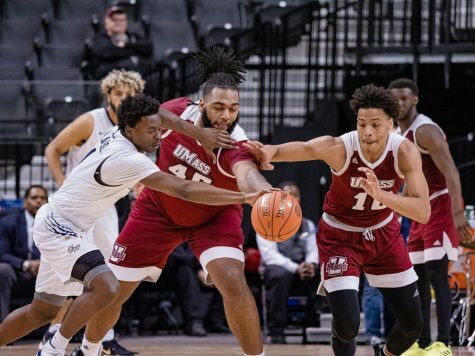 Expect UMass to play well once again in the conference tournament and make it back to the semifinals, with a trip to the championship game not completely out of reach. 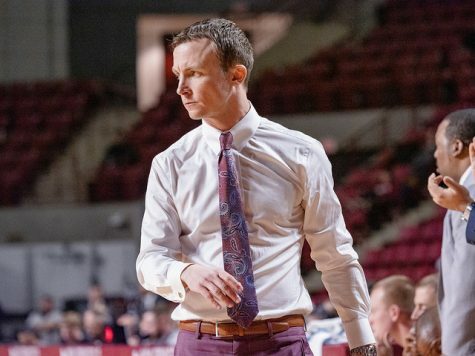 A strong regular season against a much improved non-conference schedule and a deep run in the A-10 Tournament should be enough to put this team back into the NCAA Tournament as a mid-to-high seed. 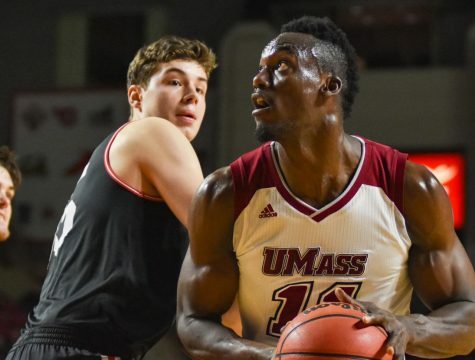 Once there, I can see the Minutemen pulling off an upset in their opening game, before being outmatched by a much more experienced team in the next round. But, after 15 straight seasons of watching the tournament on TV, a trip back to the tourney, even if it is brief, is certainly a season to be proud of. Chiarelli: At this point, it’s a fairly simple question with this team. 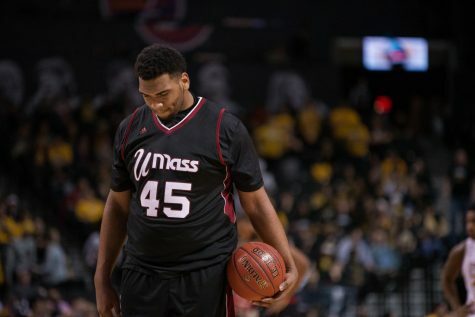 Will the Massachusetts men’s basketball team make the final field of 68 and compete in the NCAA Tournament? I’ll preface this by saying there are some very legitimate concerns with this team. Where will the outside shooting come from? 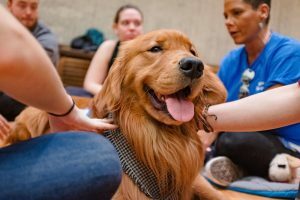 Can they compete with upper level teams early in the season? And it’s essentially impossible to tell after a host of practices and an exhibition game against American International. 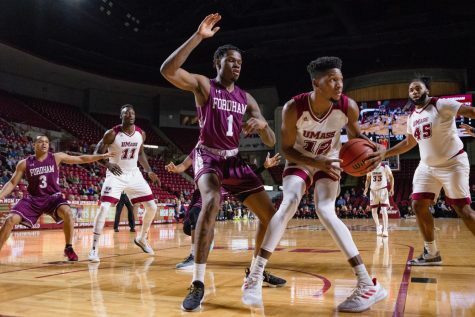 But, as strange as it sounds, I think it’s overlooked that for a majority of the games this season, UMass will have the best player on the floor. Chaz Williams spurned a professional European career to return and will better his totals of 15.5 points per game a season ago and seven assists. Beyond that, things get murky. Fans will fall in love with Derrick Gordon’s style of play. He’s aggressive, initiates contact and assumes the scoring lead when needed. But what will they get out of Sampson Carter and Raphiael Putney? Both are seniors and have one last crack at bringing back hardware. This season’s X-factor? Demetrius Dyson. He’s the first freshman off the bench, and coach Derek Kellogg loves how he meshes with the veterans as a swingman. Prediction: 12th seed in the NCAA Tournament and third in the Atlantic 10.